University and college life brings many new experiences. One of the most challenging can be living with someone you know little about, or living with someone you know well but have never lived with. 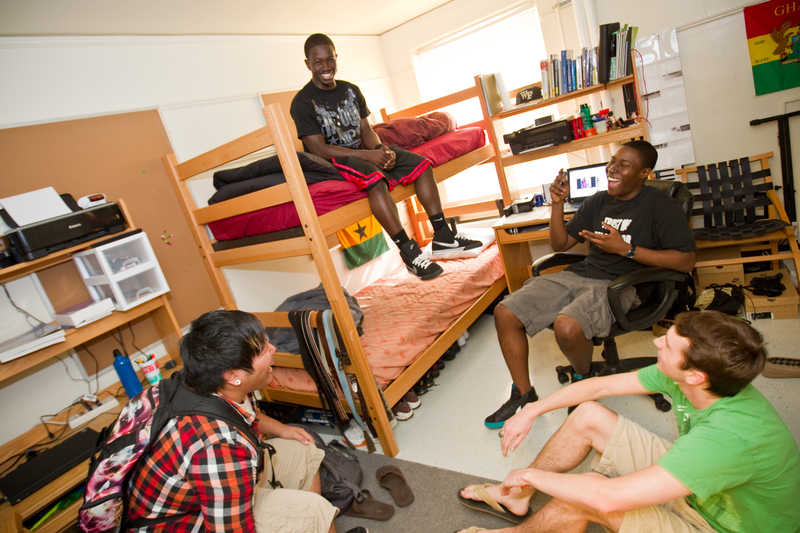 Sharing a house with other students and living with anyone in a small space can be a frustrating experience, or it can be a great way to form lasting friendships. Sometimes people assume that when they like each other, living together will be easy, but simply liking someone does not necessarily mean that you can live together successfully. Living together involves being able to talk and share ideas, being tolerant and able to agree on how to handle situations. You have to be considerate and tolerant of the habits of other people and try to establish a couple of ground rules from the beginning. Living with roommates can sometimes present intense problems, because you may have completely different attitudes to many things, such as playing loud music, washing of dishes and general cleanliness. Living together requires certain skills; skills that can be of benefit in any situation in which you need to share space, be it permanent, as in marriage, or temporary, as with roommates. Whenever two people live together there are always both similarities and differences. Inevitably, there need to be compromises, but there is also room for each to learn something valuable from the other. It is not necessary for people to agree on feelings, preferences, or opinions - it is necessary to understand each other and respect each other’s rights. Self-knowledge and confidence: If you know yourself, you would be confident enough to share feelings, dislikes and likes personal preferences, habits and characteristics- especially the “quirks” we all have. You need to share information about the way your emotions work so that your roommate can read and understand your feelings. Respect: be considerate towards your flatmates and treat them as you would like to be treated. Allow other people their privacy and don’t go into your flatmates’ rooms when they are not there, or use their things without asking first. Communication skills: learn to negotiate and identify common areas of conflict including neatness, noise, visits by guests, study arrangements, sharing of belongings, money issues, messages, values, social lifestyles, and schedules. You need to listen to each other without interrupting and focus on really understanding how he/she feels. It is better to communicate face-to-face in a friendly manner than to leave angry notes or take revenge in some other way.